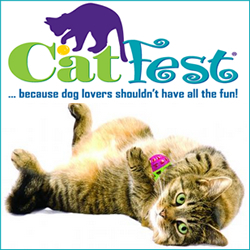 From 10am to 3 pm Sat July 13 come and celebrate Cat Fest with the Denver Dumb Friends League! This annual event will have a $10 adoption special and features the Meow Market where you can visit more that 20 vendors offering great cat and pet related merchandise and services. There will be a lot of “freebies” available, as well as goodie bags, and a live broadcast by Radio Disney.